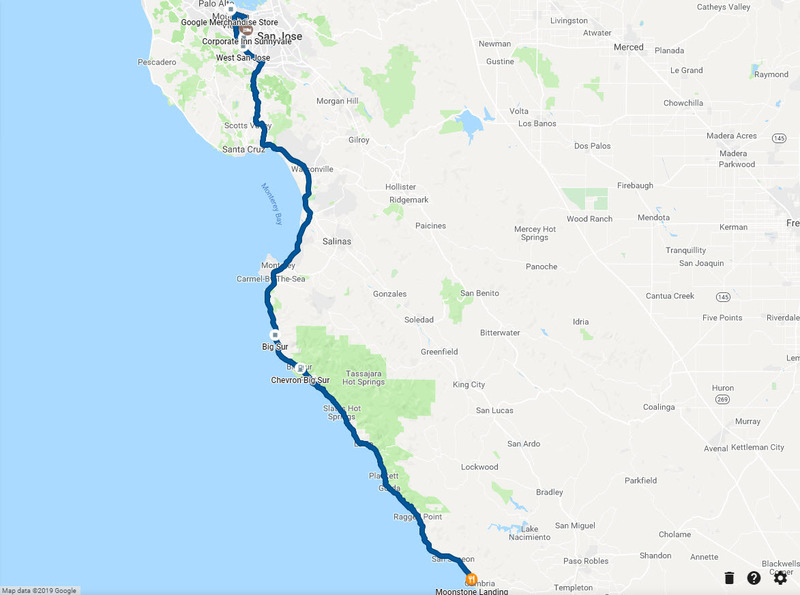 In my previous post, I mentioned that we were travelling from Yosemite down to Silicon Valley. We managed to get a suite at Corporate Inn Sunnyvale at SG$170+, inclusive of breakfast! Standing at 39 sq meters, this was by far the largest and most luxurious accommodation we stayed in the US. It comes with a living room, bedroom, huge bathroom, and even a makeup corner. By the time we checked in to our accommodation, it was already dark. We decided to visit the nearby Westfield Valley Fair to look for dinner and do some shopping. It was quite an upscale shopping mall with brands such as A&F, American Eagle Outfitters, Banana Republic, Balenciaga etc. We didn't buy anything there in the end (we still prefer outlet shopping). We started the day with a simple breakfast at the hotel before heading off to our next destination. Since KPO is in the IT industry, we obviously need to visit the famous Googleplex and One Infinite Loop at Silicon Valley! 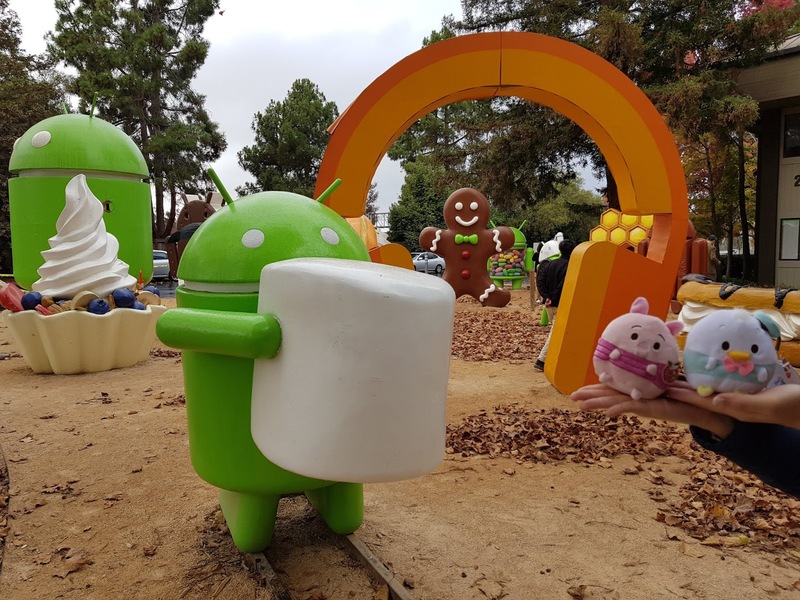 Googleplex is located not too far away from our hotel with an area size of 190,000 square meters! The compound doesn't feel like a company. Instead, it felt more like a campus, with relatively short buildings and have lots of facilities inside, such as cafeteria, souvenir shop and even beach volleyball! There were many security guards in the compound, so it was easy to ask for directions to the souvenir shop. We bought quite a number of items in the shop, including tee shirts for our family and a sling bag. Once we are done with our shopping, we headed to One Infinite Loop, which is pretty much next door to Googleplex, to shop for Apple merchandise. However, we didn't buy anything from there because Apple products are always sold at a premium, even at its headquarters. As we were very much behind schedule after our massive shopping at Google, we decided to skip lunch at San Pedro Square Market as we still had a long drive to Big Sur. Instead, we packed some Campbell soup which I cooked in our apartment and bought some butter cake to eat along the way in the car. Our next accommodation is at Moonstone Landing, which is approximately 300km or 3 hours drive away. We would pass by Big Sur along the way and was expecting to see some really gorgeous scenic coastal view. However, we were dismayed when it started pouring heavily. The road leading to Big Sur started fogging up and we could only drive slowly to ensure safety, not to mention that we could not see the sea which is just a few meters away from the road. It was quite a pity that we weren't able to witness the coastal scenery which many people raved about due to the weather and our tight schedule. By the time we reached our accommodation, it was already dark. We quickly surveyed the hotel before looking for dinner places. The hotel room is huge. We even had a big dining table in the room and a fireplace. The room is generally clean, the staff was friendly and it costs around SG$230+. 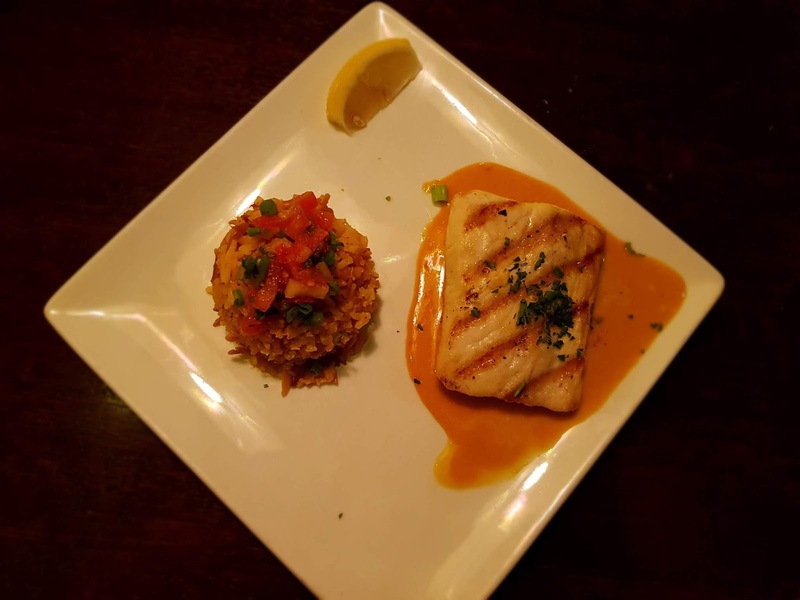 After we checked in, I googled for food recommendations and the Moonstone Beach Bar & Grill was one of the top-rated restaurants. We decided to check it out for some comfort food. It was quite pricey and we paid around USD 80 for two mains and a glass of cocktail, but I think the food was generally good. However, as I drank the cocktail a tad too quickly, I was feeling dizzy even before we left the restaurant and ended up vomiting in the hotel when we got back. What an uneventful day. 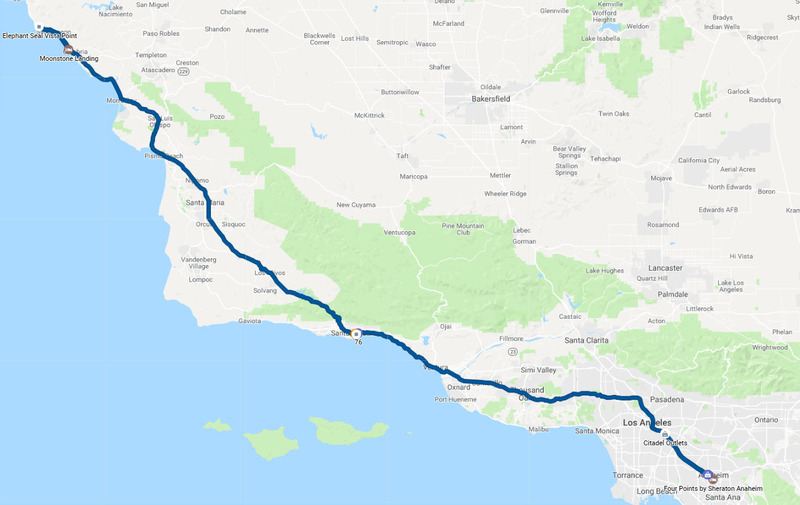 This is one of our furthest drive yet - we were expecting to cover 424km or around 4 hours drive from Moonstone Landing to our next hotel at Anaheim as we have planned to visit Disneyland the next day. Hence, just like any other day, we woke up early to brace ourselves for another long day ahead. Look at all the elephant seals! 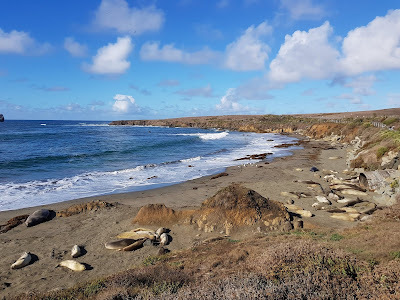 After we consumed the free hotel breakfast, we visited the Elephant Seal Viewing Point, which is approximately 20km away. 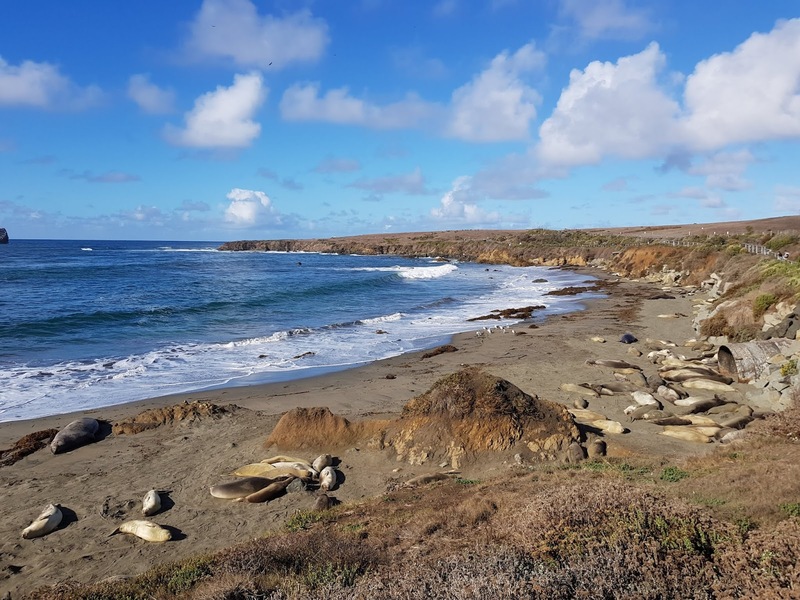 The Elephant Seal Viewing Point is a place where tourists/visitors can see lots of the wild elephant seals basking in the sun. It is definitely worth the visit, especially between Dec-Mar as you may have a chance to catch sight of the pups of the season as that is their birthing season. After that, we continued on our journey to Santa Barbara. We decided to skip San Luis Obispo because there was no time for that. Santa Barbara is around 2.5 hours away from where we were and it was just nice for lunch when we reached. To our horror, we realized that today was Thanksgiving day and it was quite a big occasion for the people in the US. Many shops were closed (similar to our Chinese New Year) and we had a hard time looking for food. 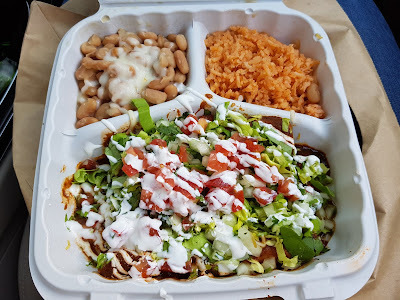 We decided to try out Mony's Mexican Food based on Google's recommendation again and were so relieved that it was open. We saw a long queue forming outside the restaurant when we reached, probably due to the limited choices today too. Anyway, we packed the food and drove to a nearby seaside to enjoy. 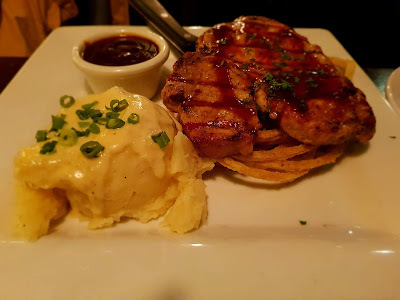 The food did not disappoint. 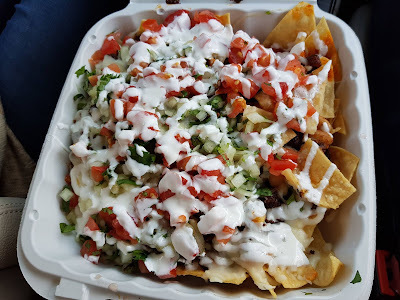 The chips were crispy and it comes with a variety of sauces to dip into. However, the portion was crazy and we barely finished half of our share! Seriously, any couple who intends to visit the US should consider ordering 1 portion to share because the portion is humongous! It is such a waste to throw food away. We did not stay at Santa Barbara for long, but I kind of like the vibe there. It feels pretty chill there and looks like a great place for sea activities like surfing. 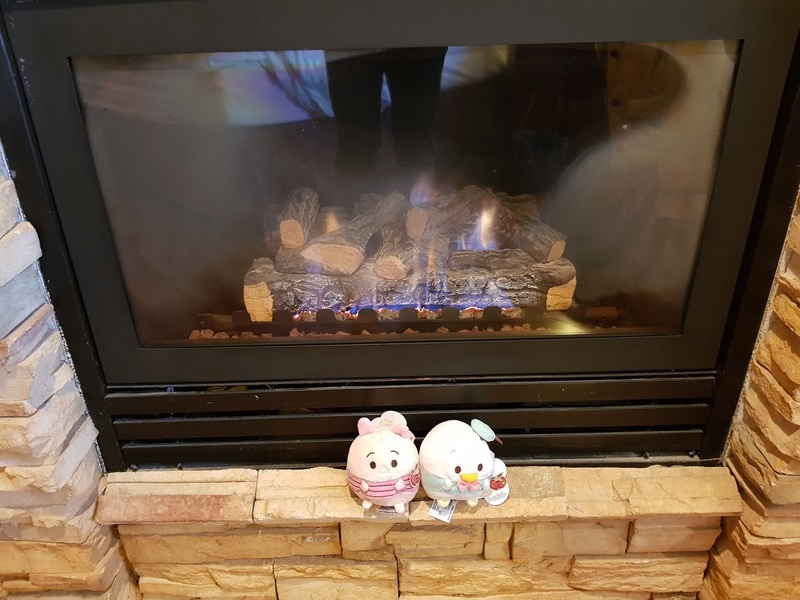 We drove another 200km or another 2 hours from Santa Barbara to reach Four Points by Sheraton Anaheim. 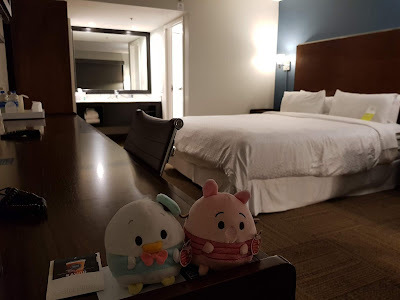 1) Disney hotels are just too expensive; Four Points is located pretty near Disneyland (around 1 km away) and the price is much more affordable (KPO got it at around SG$200+ per night). 2) Even the parking at Four Points is (slightly) more affordable than parking at Disneyland. (USD 16 per day at Four Points vs USD 20 per day at Disneyland) Since the hotel is located near Disneyland, we could park our car and walk there. We were hoping that we could get free parking because KPO is a Gold Elite SPG member. Unfortunately, he was rejected. Oh, wells. After we checked in, we thought it was still early hence we decided to check out at the nearby Citadel Outlets mall to have an experience of the Black Friday crowd and hopefully, we were able to scoop some good deals. It proved to be a correct decision as many of the branded stores (Coach, Kate Spade, Michael Kors) were on 70% discounts. Long queues already started forming outside the stores when we reached and we only managed to enter some stores. However, the place was orderly (we imagined witnessing some stampede before we reached lol). That pretty much sums up our hectic schedule from Silicon Valley and Big Sur. Stay tuned to the next post on Los Angeles. We made our first transactions for the year and you might have guessed it based on the title of the post. 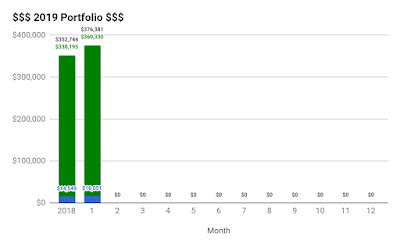 After holding it for 512 days (~1+ years) and including all the dividends collected, the total return is -26.3% and the annualized return is -19.5%. CZM has been sharing lots of news on SingPost and insisted that we should sell SingPost. You know - happy wife, happy life. CZM's point of view is their business will continue to decline because people don't like doing business with unethical people/company? 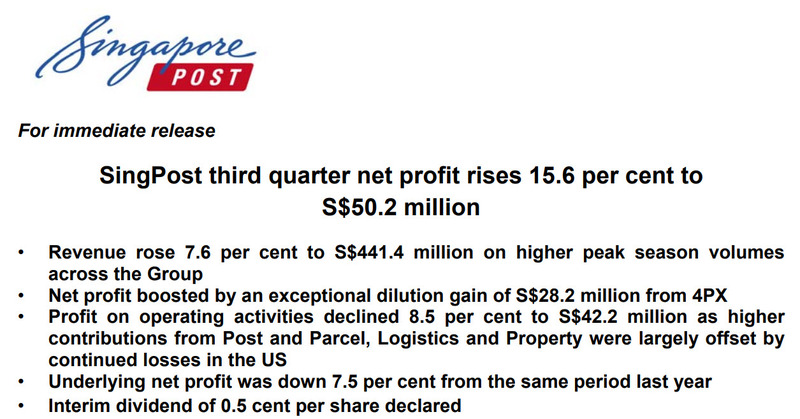 Regardless, looking at SingPost's latest Q3 financial statement, it might be true to a certain extent. 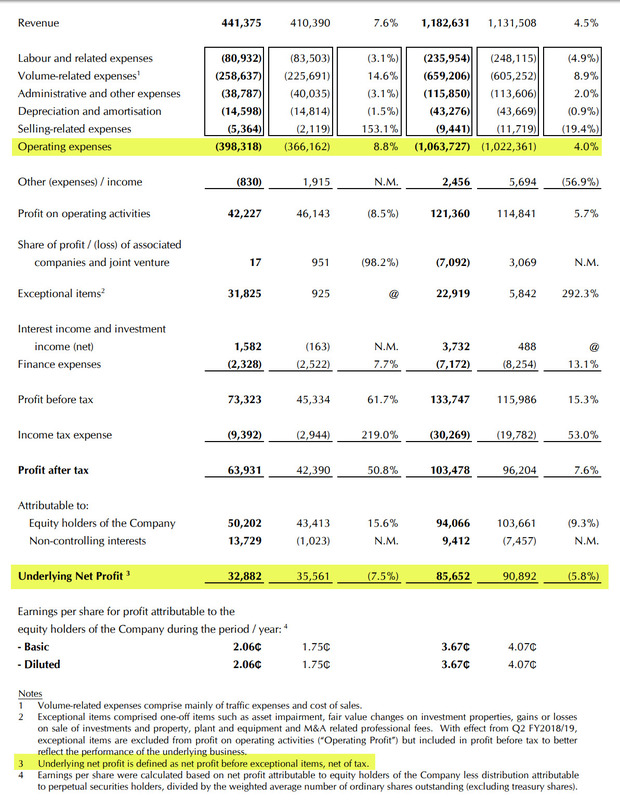 We can see that their operating expenses have increased but its underlying net profit has actually decreased. 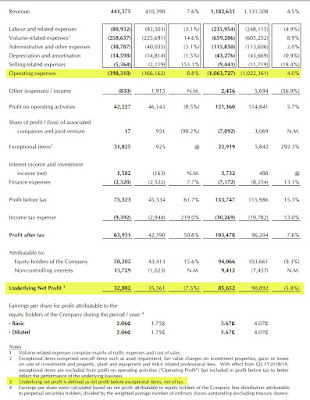 Underlying net profit is a more accurate measure of its business because it does not include exceptional items which are one-off items such as asset impairment, fair value changes on investment properties, gains or losses on sale of investments and property, plant and equipment and M&A related professional fees. SingPost has also recently announced immediate measures to improve service quality. 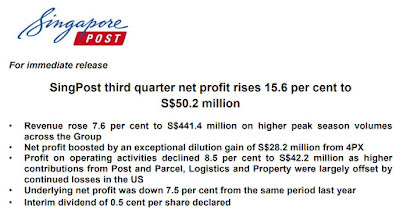 SingPost's current dividend policy (changed 2 years back) is based on a payout ratio ranging from 60-80% of the underlying net profit for the financial year. The payout ratio for last year was already ~75.6% (3.50 / 4.63). Assuming if operating costs increase without an increase in underlying net profit, there is also a possibility where the EPS will drop and DPS will be cut again. Based on the current price of $0.95, its dividend yield would be ~3.68% (assuming dividend is kept constant at 3.50 cents per share) which is lower than our target dividend yield of 5% hence there is really no reason to hold on to it.